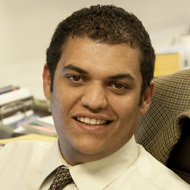 Karim joined Eldib Advocates in July 2008. From May 2016 through July 2018 he practice law in the MENA Gulf region which allowed him to expand on his expertise within the region. He rejoined the firm in August 2018 as a Junior Partner and as the Deputy Head of our Maritime Department. Prior to Eldib, Marouny had worked in the Legal Department of the National Bank of Egypt, which afforded him the opportunity to hone his knowledge in the Banking and Financial Laws of the country. Marouny has expanded his specialization to encompass all areas of shipping and commercial litigation; handling shipping disputes from charter-party and bill of lading disputes to sale, purchase disputes and ship arrests, in addition to being a very skilled negotiator and reaching out of court settlements on the best terms. Further, Marouny also has extensive practice as a correspondent for various P&I clubs, reporting to our clients with the circumstances of the disputes on timely fashion and creating monthly reports to all of our current clients to enable them of the present situation of their pending cases being handled by the firm. Marouny has developed his expertise in solving claims which may occurred between the terminals and shipping lines/consignees/shippers as well as handling several litigation matters including the termination and deregistration of the agency agreements, disputes raised from facility/ investment agreements, and labor entitlements. Moreover, he has vast experience in managing with the terminal claims such as incidents concerning containers, trucks, and equipment’s. In addition, to inland transportation claims, customs smuggling claims, collision claims and the know-how of all the necessary legal procedures in order to collect the demurrage occurred to the shipping line by attempting to reach an agreement initially out of court. During his tenure in the Gulf, Marouny expanded his knowledge in handling several cases concerning Aviation, inland transportation and logistics disputes, as well as drafting, reviewing and advising on various types of contracts, including employment, distribution, licensing, supply, logistics, warehousing and transport. With extensive practice and knowledge of the legal systems across the region, Marouny has also handled several cases concerning Trademark/Copy Rights registration and protection and exercising legal actions against infringers, in addition to handling various cases concerning banking litigation on behalf of the internationally recognized bank and being an advisor for the banking legal transaction requirements (ex. L/G, L/C, loans). He continues to be an extremely active member of the legal community in Egypt. Furthermore, Marouny has acquired great experience in dealing with the Egyptian Environmental Affairs Agency (EEAA) and the governmental authorities regarding the pollution incidents, including grounding. He is one of our most efficient lawyers when it comes to dealing with government and the Egyptian bureaucracy.